Churchill Brothers' demolition of Chennai City in the Penultimate Round of 2016/17 Hero I-League, confirmed their survival in country's top division for another year. With 20 points in 17 games, Red Machines are out of Relegation Zone. 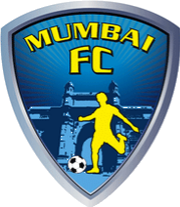 But this also means that Mumbai FC will be relegated at the end of the season. They are currently at the bottom of the table with 12 points and have two more matches to play. They can still finish 8th in the league table, if they win their remaining two matches and DSK Shivajians, Chennai City and Minerva Punjab lose their remaining matches. But with all those three teams being corporate entries and immune from Relegation, Mumbai FC will still end up being relegated. 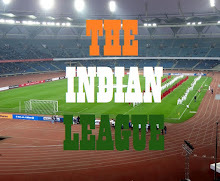 The Mumbai based club was founded in 2007 and played in 2008 I-League 2nd Division and won promotion after finishing at the top of the League table. Their I-League journey started from the 2008/09 Season and after a run of nine seasons in top League, they will be back in 2nd Division. Though Mumbai FC will have motivation of winning the next two matches and finishing 8th in the league table, which will make them eligible for 2017 Federation Cup, starting May 7th in Cuttack.